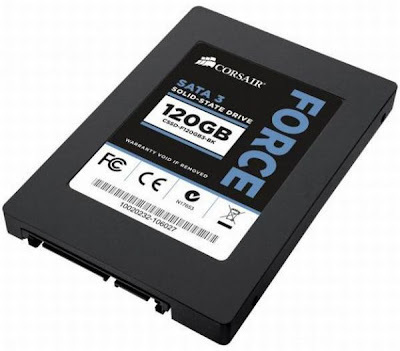 Corsair has updated its solid state drive offering with a third generation of the Force Series that will feature the Sandforce SF-2281 controller paired up with MLC NAND flash chips and SATA 6.0Gbps interface. It is also backward compatible with SATA 2 and comprises a 3.5” adapter.It delivers read and write speeds of up to 550MB/s and 520MB/s, respectively, and an impressive 85000K IOPS for faster system response, boot times and application load times. The new Corsair Force Series 3 drives will be made available worldwide this month through the company’s network of authorized retailers at a price of $139 for 60GB, $219 for 120GB, and $499 for 240GB. Tags:Force Series SATA 3 SSDs,Corsair ssds, solid state drives, Corsair Force Series 3 drives, SSds less than 7K, 60GB SSD's, 120GB ssd's, 240G ssd's,ssd with 6.0Gbps interface.